Not long after I got off the subway right in the heart of downtown Toronto, I was greeted with the fiery eyes of the chaplain I once interned under holding a microphone – the Quran in one hand, the Bible in the other. Behind him stood two older men holding “Jesus is the only way” signs and to the side sat an older gentleman wearing white Islamic clothes giving out free Qurans and other Islamic materials. A few years back I had picked up an English translation of the Quran and started reading it. Although a devout Christian, I maintain that true cultural sensitivity includes learning the holy teachings of other religions. I stood there mesmerized for several minutes until it started to rain. As the rain drops fell, slowly at first and then picking up speed, the chaplain queried the Muslim man about Salvation, heaven, and assurance after death. From the angle of Christian apologetics, I was spell bound. This chaplain showing the knowledge of one who has studied other scriptures and anticipated the major arguments, however, from a cultural sensitivity perspective I was agitated. I walked away from that scene with a huge chip on my shoulder, “what exactly are these Christians doing? What are they really trying to accomplish? Is this really the way to do it?” The next day, I sat with a Muslim acquaintance at lunch and discussed my initial distrust in such evangelism techniques. She rolled her eyes and countered back about her “favourite” Muslims. I’ll be honest. I’ve thrown around words like “evangelism” and “missional” plenty of times in my life. I’ve given the salvation message to camp kids, preached the Good News from the pulpit, and have even delivered sandwiches and tracts on the streets. As a Christian, I agree with the great commission, with salvation, with baptism, and discipleship. However, I have come to believe that what I have heard coined as “vampire evangelism” is not the best way to bring about the Kingdom of God. In “Vampire Evangelism” individuals are approached with a “fire and brimstone” message – a faith with the foundation of fear and extreme guilt. “Be a Christian or else” kind of mentality. Others are pressured into the faith through the “flirt to convert” method – making a decision in order to win the approval of their date. In many cases, follow-up discipleship is lacking and a true description of the passionate love the Father has for us is left wanting. In Vampire Evangelism, an awareness of what the person has previously experienced is diminished and the understanding that a decision for faith may take time for some or even cost someone their family or in some cases, depending on the country, their life, is largely forgotten. To be fair, I’ve had my own experiences of being a fiery evangelical before. When I was younger, I used to try to get the Salvation message in any chance I got and that even cost me my job once. I still maintain a posture of prayer for the unsaved and take every opportunity to reach out to others. At the same time, I maintain that evangelism should be incarnational, rooted in relationships, and have integrity. Recently, I met someone who practices the Muslim faith and she and I became close. She’s interested in religious differences, likes to explore different theologies, and one day hopes to hear me preach. Of course, I love her and want to encourage her in her theological pursuits, but our relationship is not built on conversion, but on friendship. I am not her friend for the sole purpose of winning her to Christ. I am her friend first and foremost because we share common interests, enjoy each other’s company, and find each other a blessing. Even though my friend is Muslim, I feel I can be real with her about my walk with Christ. I share with her questions and things I still wrestle with even though I am a seminarian. In exchange, she shares nuances about her religion and culture she loves and other things she wants to further explore and learn about. I do not fear that by being real about half-hearted Christianity or by explaining my theological queries that I am somehow giving her a bad impression of Christians. On the contrary, I have discovered that this is what friendship is about. A place to be honest about what’s going on in our lives. There is no reason why in this regard I need to treat a Muslim friend any differently than I would treat a Christian friend. To me, Christ embodied the love of His Father through His actions. He loved everyone, served the “least of these”, and modeled forgiveness and compassion. Incarnational and missional living is just that, walking WITH our neighbours with evangelism as an extension, not as the ultimate focus. 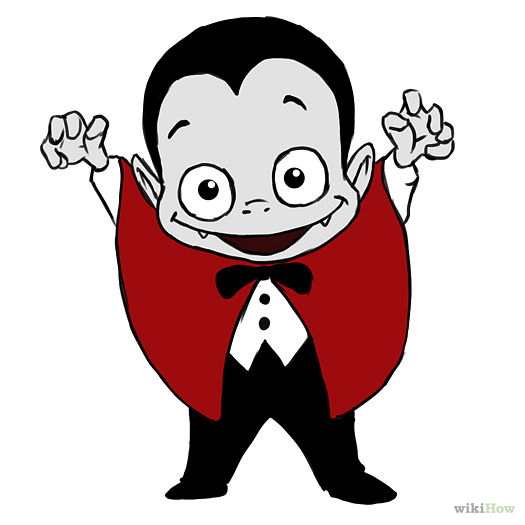 Vampire Evangelism doesn’t work in the long run because its converts have not learned to grow roots. It reminds me of the Parable of the Sower, although the seeds are there the soil was not right for sustained growth.1 Once the cares of this world come up again, belief in Christ is choked out and people forget their ultimate allegiance. People are converted, but not discipled. The next week, the street evangelist is gone and the converts are left confused – with more questions than answers. They are unsure how to locate a Biblically solid church and may become involved in fringe groups or eventually give up on Christ and go back to their old way of living. More than that, I am not convinced that street evangelism works. The average person needs to hear the Gospel message 6 times before they can accept it.2 Therefore, mass conversions may work for Billy Graham, but they should not be the standard for all young preachers. 1) Pray before every ministering opportunity. Pray for opportunities to proclaim the Gospel boldly as you should.3 Pray over your sermons, your writings, even your daily work interactions. Prayer is at the very heart of evangelism and is the greatest of all ministries because it puts our hearts in tune with Christ. I pray every opportunity I get – while walking or biking, in my car on my way to school, as I am brushing my teeth in the morning, and as I’m preparing for bed. Every morning I ask God for opportunities to be His hands and feet to everyone I come into contact with, offering them a cup of cold water when they need it the most and words of hope and healing when all around them they hear despair and discouragement. I ask God to help me grow in Christian maturity and to help me incarnate His love for me so that when I talk to others they no longer simply hear Deborah, but God talking through me. I want more than anything else for people to know that I belong to Christ by the words I say and the way I speak them. Every evening before bed I once again come before God thanking Him for what the day provided and asking forgiveness for missed opportunities or unhelpful interactions. 2) Learn apologetics. 1 Peter 3:15 reads that we are always to be ready to give an account for the hope that is in us.4 Be prepared at all times to give your testimony, to pray for others, and to explain your faith. This doesn’t mean that everyone needs a PhD in theology, but it does mean that as Christians we need to be confident of the hope that is in us. 3) Incarnate Christ’s love. Jesus is clear that Christianity is not about lip service, but rather is about following the will of the Father.5 Christ set really high standards for His followers. He commanded purity of heart and mind unconditional forgiveness and love for enemies. As Christians, we are to appear differently that the rest of the world, shining like stars amidst the status quo.6 If we are not following Christ’s commands to love and serve others, we cannot attract others to a message we ourselves do not proclaim daily through our lifestyle. 4) Show cultural sensitivity. From the onset of our friendship, My Muslim friend and I have shared an unspoken understanding that although we can (and often do) discuss religious matters, we are not out to convert or prove each other wrong. Every hang out gives me an opportunity to share my faith while at the same time learning and respecting hers. I disagree with Christians who become friends with non-Christians in order to convert. Instead, don’t see people as projects, but let the love and joy of friendship unfold naturally. Friendships are fragile – answer questions, but don’t force a point. Learn cultural and religious taboos and respect them. Don’t impose your own values on another person. 5) Lastly, don’t “screen” your conversations. Clearly I don’t debate Calvinism vs. Arminianism with non-Christians, but I still ask my Muslim friend to pray for me when I need prayer. When we hang out, we focus more on our own religious similarities rather than on the differences. We mutually agree that in the end of the day our faith gives us a better standard for treating others, morality, and a sense of something better waiting for us. Our faiths provide a basis for working towards peace and understanding. 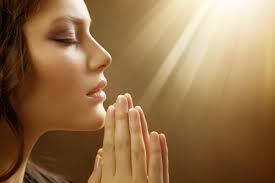 Since we are both devoted to our faiths when my friend says she’ll be praying for me, I know that she really will be.